Booming hot tub and swim spa distributor Aqua Warehouse Group has booked into the SPATEX seminar programme to promote a new service that can allow wet leisure specialists to effortlessly tap into e-commerce profitability. As part of the large list of ‘New Seminars’ at this year’s SPATEX, running from January 29 to 31 at the Ricoh Arena in Coventry, Aqua Warehouse Group will be highlighting how its Aqua Spa Supplies division can now link with businesses to utilise their existing website or new online resources and unlock e-commerce opportunities that will provide rich rewards; with very little effort, cost, or without being a drain on employee time. The Aqua Warehouse Group Seminar entitled ‘Easy online shop for spa dealers’ is scheduled to take place near the end of the first day of SPATEX, on Tuesday, January 29, in Arena 2, from 4pm to 4:45pm, and Aqua Warehouse Group chief Richard Hart, pictured, is hoping to attract a large audience from the visiting trade crowd. “This seminar will help to outline an exciting opportunity for dealers to maximise their online presence and to help effortlessly to tap into the e-commerce potential of their business,” explained Richard. “Without putting any strain on their own or their employee’s time, as well as not impacting on their existing resources, we can link up with dealers so that they can promote e-commerce capabilities to their customers from their websites. “This is due to the fact that we already have the resources in place with the capability and infrastructure to cater for high volumes of e-commerce trading and distribution. So, we can simply incorporate it into the website of dealership businesses to help them increase their profitability. “Many dealers either cannot afford or have the stock or warehousing for an online shop. Yet they know how important they are in the new online world we live in. Under our Aqua Spa Supplies brand we are now able to do all this for them under a ‘White Label’ project. “They will get their own branded web site, but we do all the work for them. Our system will process the order, take the payment and delivery. Then the dealer receives their margin on a monthly statement. It’s as easy as we could make it. 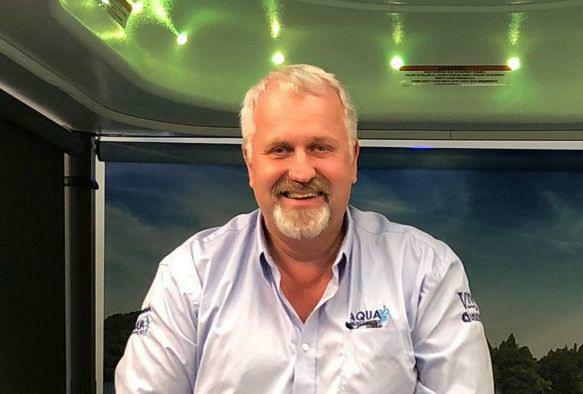 During SPATEX, Richard and the Aqua Warehouse Group team will also be promoting its new European distributor status for the Covana automated hot tub and swim spa cover systems; as well as its established status as exclusive distributor for the Vita Spa range, which includes the multiple WhatSpa? Best Buy Award-winning Vita Spa Prestige and Cabaret hot tubs, and the fledgling American Whirlpool range that was successfully launched to the UK market at last year’s wet leisure showcase in Coventry. 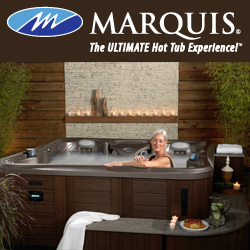 The amalgamation of the L.A Spas range of hot tubs and swim spas with other MAAX Spas brands resulted in the new ‘super brand’ being created that Aqua Warehouse Group group exclusively distributes to the thriving UK-based network of dealers. After launching American Whirlpool at SPATEX 2018, the six-seater American Whirlpool AW271, coming in at 211 x 211 x 91cm, gained its first ever WhatSpa? Best Buy Award in the £8,000 to £9,999 price category of the latest edition of the consumer magazine. Coming in at 224 x 224 x 80cm and incorporating a lounge seat, the American Whirlpool AW471, also made an immediate impact in 2018 with a WhatSpa? Best Buy Award in the £10,000 to £14,999 price category. “We had great success after introducing the American Whirlpool brand at SPATEX last year and will also be promoting the various options to visitors to our stand this time round, as well as our Vita Spa and Covana ranges,” reported Richard. To discover how your wet leisure business website can effortlessly tap into e-commerce profitability attend the Aqua Warehouse Group Seminar during the first day of SPATEX from 4pm to 4:45pm. For more details about the American Whirlpool and Vita Spa ranges or information about becoming a dealer for the USA brands or the booming Covana range, visit Aqua Warehouse Group’s Stand B66 during SPATEX. A wide range of wet leisure products will also be promoted by the company’s Aqua Spa Supplies division during the three days of the exhibition.